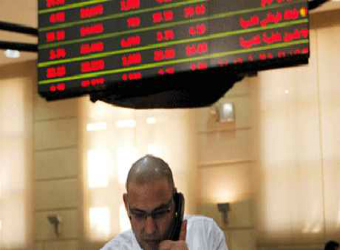 Egypt’s stock market slightly went lower on Wednesday on local and Arab investors’ selloff. Main index, EGX 30 fell 0.70 percent, to 12584.26 points, taking its losses since hitting a record-high close on Jan. 17 to 6.3 percent. “This is still not a deep correction and the pullback is the normal course of action following three months of strong gains,” a Cairo-based stock broker told Reuters. Other indices; EGX50 EWI index dropped 0.52 percent, to 1895.1 points; EGX20 edged lower 1.02 percent, to 11781.05 points. Mid- and small-cap index EGX70 added 2.88 percent, to 482.46 points. Price index, EGX100 also grew 1.57 percent, to 1176.03 points. Market capitalisation incurred mild losses worth 153 million Egyptian pounds (around $8.1 million), to record 612.671 billion pounds during the closing session of Wednesday. The bourse’s trading volume reached 250.877 million securities, with turnovers, closing at 879.826 million pounds, exchanged through 25,121 transactions. Also during the closing session, 172 listed securities have been traded in, 90 declined, 58 advanced; while 24 kept their previous levels. Local and Arab investors were net sellers controlling 75.83 and 5.54 percent respectively of the total markets, with a net equity of 40.596 million pounds and 18.319 million pounds, respectively, excluding the deals. On the contrary, non-Arab foreign investors were net buyers capturing 18.63 percent of the total market, with a net equity of 58.916 million pounds, excluding the deals.